Last Thursday, the Commodity Futures Trading Commission held hearings on the possible imposition of commodity futures and options trading limits in the precious metals markets. Each of the five commissioners plus two CFTC staff members made presentations. In addition, 14 outside parties accepted invitations to make presentations. This hearing came about in part because of long-term complaints from organizations such as the Gold Anti-Trust Action Committee and individual analysts such as Ted Butler, Reg Howe, James Turk, Frank Veneroso and Adrian Douglas that the gold and silver commodity markets have been subject to blatant extensive price suppression manipulation by the U.S. government and its trading partners. Among the outsiders making presentations at this hearing were Bill Murphy, in his capacity as chairman of GATA, and Harvey Organ, an individual investor. Murphy was advised to expect a strict time limit of five minutes for his presentation, even though the CFTC chairman Gary Gensler had the option to allow more time. In order to provide the maximum documentation possible into the official written record of these proceedings, Murphy raced through his 6-1/2 minute oral presentation in just five minutes. It was not a graceful presentation, but Murphy introduced a lot information into the record that the CFTC can no longer pretend not to know. After his formal remarks, Murphy was asked by commissioner Bart Chilton if he could provide some specific instances where such manipulation had occurred. This was the opening for Murphy to introduce a bombshell. In November 2009, Andrew Maguire, a former Goldman Sachs silver trader in that firm’s London office, had contacted the CFTC Enforcement Division to report the illegal manipulation of the silver market by traders at JPMorgan Chase. He described how the JPMorgan Chase silver traders bragged openly about their actions, including how they gave a signal to the market in advance so that other traders could make a profit during the price suppressions. Maguire had a series of e-mails with Eliud Ramirez of the CFTC Enforcement Division explaining how the manipulations were tied to the Bureau of Labor Statistics monthly release of non-farm payroll figures and other recurring events. On Feb. 3, 2010, Maguire sent an e-mail to Ramirez and commissioner Chilton saying that he had observed the JPMorgan Chase signal that the price of silver would be knocked down upon the announcement of the non-farm payroll report at 8:30 a.m. on Feb. 5. Maguire then sent them e-mails on Feb. 5 as this suppression was in process, pointing out that it would not be possible for him to have such accurate advance information about this development if the markets were not controlled by JPMorgan Chase. Maguire asked to be invited to speak at the CFTC hearings this past Thursday. When he was not invited, he contacted Adrian Douglas, another director of GATA, on March 23 to supply this information to be made public at the CFTC hearings. Murphy filled Maguire’s request in response to Chilton’s question asking for specific instances of price manipulation. When I saw him Saturday, Murphy told me that the CFTC commissioners all went pale as he described exactly how the CFTC was provided this detailed information about silver price manipulation but had not yet done anything about it. During Harvey Organ’s presentation, a question came up about whether large short positions on the London Bullion Market Exchange also reflected efforts to suppress gold and silver prices. Adrian Douglas was permitted to address the hearing on this issue, a subject he has studied extensively. Douglas pointed out that the huge volume of trading levels in the London market (averaging $22 billion per day) could not possibly be settled by delivery of physical metals. To this point, the commissioners asked Jeffrey Christian, one of the other speakers who runs CPM Group – one of the most respected precious metals consultancies, whether Douglas’s contention that the London gold and silver markets could not be settled by delivery of physical metal for all the contracts. Christian rejects the concept that the gold and silver markets are manipulated, but he did confirm Douglas’s analysis. In effect, the commissioners were told that almost all of the trading activities on the London exchange were merely settled by paper for paper, not for physical metals as the exchange supposedly requires. Further, the commissioners were told that it was impossible for the London exchange to ever deliver all the gold and silver owed to the owners of contracts. After the hearing, GATA publicly released copies of Maguire’s e-mails with the CFTC. Murphy also revealed that Maguire had recorded all of his telephone conversations with the CFTC without asking for their permission to do so. This is legal to do in Britain, but such recordings cannot legally be provided to other parties. GATA is currently working to ensure that these recorded conversations can be legally released to the public. This past Saturday, Murphy addressed a full room with his Numismatic Theatre presentation at the American Numismatic Association convention in Fort Worth. There, he shared much of the breaking information he provided to the CFTC commissioners. Little did we know at the time, but at about then Andrew Maguire’s car, in which his wife and he were riding, was struck by a hit-and-run driver. Both Maguire and his wife were briefly hospitalized. The police eventually arrested the other driver. The Maguires may be considered more than lucky. There are other past would-be whistle blowers about the manipulation in gold and silver markets that died in unusual accidents before they were able to bring forth their evidence. Curiously, the live television broadcast of the CFTC hearing suffered a technical failure right as Murphy was set to begin his testimony. This was corrected right after Murphy was finished. At the same time, at least one live voice broadcast failed during Murphy’s presentation. Coincidence? Now that this information about silver price manipulation and about the massive shortage of physical gold and silver on the London exchange is part of the official record, I expect huge fallout. Remember, after the five men were arrested for breaking into the Democratic headquarters in Watergate in June 1972, it took more than two years for President Nixon to resign. I don’t think it will take anywhere near this long for last Thursday’s revelations to blow back against the U.S. government and the U.S. dollar. Once the public realizes the extent of the manipulation, gold and silver prices are likely to skyrocket. I think this hearing will be the beginning of the end for those trying to suppress gold and silver prices. If you would like to view what happened yourself, please check the video clips listed below. Far too many things would have to go right in China and wrong in the U.S. When the country emerged as the world's superpower, after a protracted confrontation, it paid a high price. It had formerly exported capital and had its public spending well under control; now it ran extremely dangerous trade deficits and could sustain its funding only by massively selling bonds to its neighbor across an ocean to the west. That neighbor built up large trade surpluses as it accumulated those bonds. No one thought it could ever topple the superpower from its place as world leader. They certainly didn't imagine that the bond-buying nation would go on to make its money the world's reserve currency. But that is exactly what happened. The U.S. and China today? No. Great Britain and the U.S. in 1918. The pound went into an inexorable decline after World War I that ended with the dollar taking over when the Bretton Woods agreements were worked out after World War II. The consulting firm McKinsey recently published a study titled, "Will China's Currency Replace the Dollar as the World Reserve Currency?" It's a question many people have been asking. There are several strong-sounding arguments in favor of the proposition. (1) America's trade deficit has been beginning to seem unsustainable, and shifting demographics mean it's only going to get worse. (2) The U.S. has incurred trade deficits repeatedly for far longer than can be explained by its having the world reserve currency, and the Chinese Central Bank has long been accumulating reserves, thanks to its trade surpluses. (3) The Federal Reserve's lax monetary policy is further weakening the dollar and threatening to trigger inflation. (4) The U.S.'s enormous and growing foreign debt might encourage the use of inflation to devalue that debt. (5) Furthermore the subprime crisis has profoundly harmed American financial systems and consumers. But there are at least nine even stronger counterarguments. (1) The Chinese capital markets would need to have far more liquidity and transparency before investors would consider using the renminbi (China's official currency, whose unit of denomination is the yuan) as a world reserve currency, and there's no sign of that coming about. (2) The U.S. has never, in its 234 years, missed a payment on its debt. Right at the dawn of the republic, during the War for Independence, Congress concluded that nonpayment of debt would be national humiliation and must never happen. (Argentina's congress took the opposite route when it approved the nonpayment of debts in 2002, to the applause of all the legislators present.) (3) Because China is still a communist dictatorship, its fiscal and monetary policies won't respond to market forces the way a democracy's do, and that creates a strong element of uncertainty. (4) China is facing its own demographic time bomb as a result of laws introduced in the 1980s that limit the number of births. (5) China's economic growth is based on the export of low-added-value products and a controlled rate of exchange, which give it an unbalanced economy with a low level of consumerism. (6) China is effectively two countries, one urban and developed the other rural and undeveloped, and the divide between them could lead to social instability that could threaten the country's economy and currency. (7) The Chinese economy depends too heavily on exports to one nation, the U.S., and (8) has structural weaknesses because of a lack of supply of raw materials. (9) The U.S. economy relies on innovation and competition to generate productivity; without those free-market forces China's medium-term competitiveness is more uncertain. The pound didn't stop being the world reserve currency overnight. The process started around 1870 and was completed in 1945. For the yuan to take over from the dollar, the Chinese would have to do a great many things extremely well, and the Americans would have to do a great many things very badly. It just does not make sense to bet on that happening. The dollar will continue to be the world reserve currency because, among other reasons, there is no valid alternative, especially now that the euro has been rocked by Greece's crisis. Napoleon is reported to have said "Let China sleep. For when China wakes, it will shake the world." What Napoleon did not know was that in 1800 China represented 50% of the world's gross domestic product--and today it represents 10%, at market prices. China depends far more on the U.S. than the U.S. does on China. Many generations will come and go before there is any chance that China's money will become the world reserve currency. It will probably never happen. Ignacio de la Torre is a professor and academic director of the master in finance programs at IE Business School, in Madrid. In other words, a shot in the arm of the global money laundering industry, an illicit enterprise that accounts for between 2 and 5 percent of the world’s GDP, according to an estimate by the International Monetary Fund. The Center’s dark warnings did little to curb the rapid growth of the stored-value card industry — more than $300 billion a year by some estimates. Michael S. Rozeff, on March 23, 2010, published parts one and two of his brilliant story on America’s decline into unconstitutional money, entitled "The U.S. Constitution and Money". The articles below summarize portions of Edwin Vieira’s out-of-print Pieces of Eight: The Monetary Powers and Disabilities of the United States Constitution alloyed with the gloss that comes from Rozeff as finance professor. Rozeff states, "Actually, the era and material covered (1789-1860) show no constitutional decline in the coinage acts and government debt issues, but an affirmation of constitutional provisions on money. If you ever wanted to understand bimetallism, this article may help a bit. If you want to know what it meant to regulate the value of coins, this is explained. If you want to see how the Supreme Court mangled the Constitution in Knox v. Lee (1870), some of that is in here too." The U.S. Constitution and Money, Part 3 and Part 4, can be found here. Michael S. Rozeff is a retired Professor of Finance living in East Amherst, New York. He is the author of the free e-book Essays on American Empire. Chairman of the UK Cobden Centre, Toby Baxendale, published an excellent analysis of the fractional reserve vs. 100% reserve debate within the Austrian free banking school: "Free Banking, the Balance Sheet and Contract Law Approach" (March 15, 2010). Toby says, "The importance of this debate is that the School, whilst being the only School in economics to predict the crash, does not have a uniform policy prescription, or at least one policy prescription to fix our economy and put it on a sound and stable footing going forward." Toby Baxendale is an entrepreneur who owns a company which is Britain’s largest fresh fish supplier to the catering trade. He also has active interests in several charities and is a Magistrate and an Ironman triathlete. Toby is also dedicated to furthering the teaching of the Austrian School of Economics and the revival of the Great Manchester School of Cobden and Bright. Concerning the former he has helped with its revival at the London School of Economics. The Monetary Future previously covered this topic on June 30, 2009 with "Why Fractional Reserve Banking Is More Libertarian than the Gold Standard". The Cobden Centre is an independent educational charity founded formally to undertake research into economic and political science and to disseminate the results thereof and to advance the education of the public in economic and political science. "I hold all idea of regulating the currency to be an absurdity; the very terms of regulating the currency and managing the currency I look upon to be an absurdity; the currency should regulate itself; it must be regulated by the trade and commerce of the world; I would neither allow the Bank of England nor any private banks to have what is called the management of the currency…"
"I should never contemplate any remedial measure, which left to the discretion of individuals to regulate the amount of currency by any principle or standard whatever… I should be sorry to trust the Bank of England again, having violated their principle [the Palmer rule]; for I never trust the same parties twice on an affair of such magnitude (Q. 519, 520, 527)." The euro has gained stature as an alternative to the U.S. dollar. Preserving it will require letting profligate state like Greece pay their own way. The creation of the euro was either the greatest historic achievement of the last century—or its worst delusion. Not to be glib, but the answer is both: The euro represents a magnificent step toward fulfilling money’s highest purposes—to serve as a medium of exchange, a unit of account, and a store of value—but it’s also fraught with problems borne of wrongly commingled economic objectives and political aspirations. Hence, Europe’s single currency is proving both a boon and a bane to free market capitalism. While it facilitates economic transactions across borders and helps to optimize investment, the euro’s vulnerability to the bad behavior of individual member nations calls into question its ultimate dependability. How—or whether—our allies across the Atlantic manage to resolve the fundamental conflict between providing sound money and bailing out spendthrift governments will have a crucial impact in determining Europe’s future. And our own. At issue is whether government should be involved in the fundamental task of issuing a reliable form of money. Given that politicians have a penchant for short-term fiscal indulgence at the expense of long-term monetary stability, there is an obvious conflict of interest. The Europeans opted to deal with this conundrum by designating a monetary authority—the European Central Bank—as a supranational institution ostensibly immune to political pressures that might emanate from member states. Focusing on “price stability” as its paramount objective, the ECB has done a laudable job resisting calls for easier monetary policy; in the 12 years since the euro was introduced, it has delivered inflation averaging about 2% annually and has gained stature as an alternative global reserve currency to the U.S. dollar. While Mr. Trichet is trying to draw a line between the monetary institution that stands behind the euro and the governments of the 16 nations that comprise the euro area—and whose central bank governors sit on the ECB’s Governing Council, its main decision-making body—it is not so easy to separate them. The United States faced a similar dilemma early in its own history. Confronted with the need to have a common currency among the newly-established states that had become a single sovereign nation following the Revolutionary War, yet wary of granting money powers to a federal Congress, the Founding Fathers chose to place limits on government to prevent it from abusing the public trust. Excessive money issuance through “bills of credit” issued by state governments to serve as legal tender had already proven to lead to financial disaster; unless money was defined in precise terms to determine its value, it could not function as a meaningful unit of account. In the Constitution adopted three years later, legal tender coinage was limited to gold and silver. Congress was given the power to coin money and to “regulate” its value—that is, to specify the legal value of the coins in terms of a number of dollars. While Congress was permitted to borrow money on the credit of the United States, this was strictly a fiscal power that had nothing to do with creating money. All of which suggests that Europe—and America—would do well to tap the wisdom of the past in seeking to fulfill its political destiny without sacrificing its monetary integrity. Contrary to George Soros’s pronouncement that the euro is flawed because there is “a common central bank, but you don’t have a common treasury,” the way to save the euro is to remove it even further from the compromising process of government fiscal policy. Mr. Trichet cited the importance of well-capitalized banks to defend against financial innovation that has come to “serve itself” rather than the real economy, and placed his faith in more international regulation. While he is right to worry about our increasingly wag-the-dog world of speculative finance, the way to reconnect financial flows with productive enterprise is to empower individuals through honest money. Capitalism needs a sound monetary foundation to function properly. It’s something our Founders worked out a long time ago. 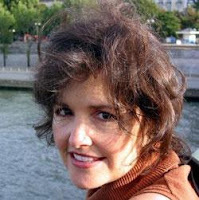 Ms. Shelton, a senior fellow at the Atlas Economic Research Foundation, is author of “Money Meltdown: Restoring Order to the Global Currency System” (Free Press, 1994). "Extensions to Chaum's Blind Signature Scheme and OpenCoin Requirements"
Section 2 of this document gives an overview of the Chaum on-line e-cash scheme that makes use of blind RSA signatures. Section 3 outlines some extensions of the basic Chaum scheme that could be of use in the OpenCoin project. Section 4 discusses future requirements of the OpenCoin project and how they might be met. "Preliminary Report on Chaum's Online E-Cash Architecture"
This report discusses the security of Chaum's online e-cash architecture. This architecture can be used with an arbitrary blind signature scheme to give an anonymous e-cash system. This should be regarded as a preliminary report after a short period of research. I find it interesting that the working group poses some very important legal questions and then progress mysteriously seems to slow. The opencoin project was originally funded by the lda, run by the open.coop, in cooperation with the Queen Mary University of London and Royal Holloway, University of London. Peter C. Tucker, J.D., Business Editor for Cardozo Journal of International and Comparative Law at Benjamin N. Cardozo School of Law, has published an engaging chronicle and modern analysis of the digital currency environment. It's entitled "The Digital Currency Doppelganger: Regulatory Challenge or Harbinger of the New Economy?" in Volume 17, Number 3 (2009) and the full article is available via a one-click download here. In addition to profiling certain digital currency issuers and exchangers, The Monetary Future has covered legal and physical jurisdiction concerns. Those articles can be found in the blog archives. Unfortunately, the author here comes down on the side of regulation, both domestic and international. Financial privacy and monetary freedom are fundamental human rights that have been continually eroded, especially when it comes to the innovation and evolution of digital currencies. It is always amazing to me that the same people respecting the anonymity of a paper $100 bill do not seem to respect that same privacy when it is extended into a 'digital cash' equivalent. A digital bearer certificate, privately issued, would emulate the anonymity and untraceability features of a paper bill just like the ones in use today. The cryptographic technology exists now. Privacy should not be sacrificed simply for the sake of going digital. Tucker correctly states that digital currencies ultimately are born of market demand. This market demand may be driven by microtransactions, wealth preservation against fiat currencies, confidentiality from merchants, general financial privacy, etc. Also, the commodity backing a private currency must be determined by the market, in accordance with Mises' regression theorem. Exchange agents provide a much-needed function in terms of localizing the service, facilitating rapid growth, and providing a vibrant two-way exchange for multiple digital currency issuers. The exchange agents also provide an additional layer of protection from over-zealous governments that seek to restrict the financial privacy of their citizens. Therefore, I come down firmly on the side of 'harbinger of the new economy' and I hope to play a part in its realization. "You are a doctor, a board-certified oncologist and a founding partner of a lucrative group oncology practice. You enjoy the wealth and prestige that comes with practicing medicine until one day you read a book, Friedrich A. Hayek’s The Road to Serfdom. Long interested in credit theory, you familiarize yourself with the bad boys of economic theory, the Austrian School. You become convinced that the phenomenon of cyclical economics, the peaks and troughs of economic progress that have been observed for centuries, could be almost entirely attributed to the manipulation of money supplies by the federal governments of the world. Steeped in economic theory, you begin to hypothesize that wars and recessions the world over have been fertilized by the noxious manure of monetary manipulation. Although you continue to see patients your hobby, your interest becomes an obsession, a plan. You teach yourself a programming language and begin writing code day and night, often forgetting to eat. You lose weight, stop attending your local church, and finally, you sell your medical practice and liquidate your life’s savings. You launch a private currency on the Internet. You are Dr. Douglas Jackson, the founder of E-Gold Ltd."
"Nine years later, Dr. Douglas Jackson had a bad day. On the evening of December 19, 2005, Secret Service and U.S. Federal Bureau of Investigation (FBI) agents raided Dr. Jackson’s home and the offices of Gold & Silver Reserve Inc., the parent company of E-gold Inc. The agents copied data from Dr. Jackson’s servers, but did not immediately file charges. However, on April 24, 2007, a federal grand jury indicted both companies, Dr. Jackson, and his business partner on 'one count of conspiracy to launder monetary instruments, one count of conspiracy to operate an unlicensed money transmitting business, one count of operating an unlicensed money transmitting business under federal law and one count of money transmission without a license under D.C. law.' According to the indictment, Dr. Jackson and his business partner conducted fund transfers on behalf of customers whom they knew to have funded their accounts with moneys gained from unlawful activity, 'namely child exploitation, credit card fraud, and wire (investment) fraud; and thereby violated federal money laundering statutes.' The conspiracy to commit money laundering charge alone carries a maximum sentence of twenty years." In the category of Best Exchanger, the award went to Goldexpay which received a very convincing 62% of the votes. The other services Trainex service, Swapgold, and London Gold Exchange received 16%, 13%, and 9% respectively. In the category of Best AutoExchanger, the award again went to Intexchange with 40% of the votes. The other services Onlychange, Superchange, and Autoconverter received 34%, 15%, and 11% respectively. Digital currency exchangers (DCEs, independent exchange providers or e-currency exchangers) are market makers which exchange fiat currency for electronic money, such as digital gold currency (DGC), and/or convert one type of digital currency into another, such as WebMoney into e-gold. Exchangers apply either a commission or bid/offer spread to transactions. There are no specific financial regulations governing DCEs, so they operate under self-regulation. However the Global Digital Currency Association (GDCA), founded in 2002, are a non-profit association of online currency operators, exchangers, merchants and users. On their website they claim their goal is to "further the interests of the industry as a whole and help with fighting fraud and other illegal activities, arbitrate disputes and act as escrow agent when and where required." It is possible for clients to purchase DGC by credit card, and therefore receive consumer protection from their credit card company. Various exchangers offer this service, although the exchange fees are typically higher than using a wire transfer. I recently completed this presentation on virtual currency issuance and management. As never before, the virtual world and gaming environments are providing incredible opportunities for the nonpolitical digital currency ecosystem. While private currency issuers tepidly begin to circulate beyond the in-world environments, it creates a set of economic and legal considerations that may give rise to a form of "virtual" central banking. Undoubtedly, this will have implications for corporate revenue and profitability models, not to mention being a distinct challenge to the government-issued political currencies. View more presentations from Jon Matonis. William Greene presented the paper "Ending the Federal Reserve From the Bottom Up: Re-introducing Competitive Currency by State Adherence to Article I, Section 10" at the Mises Institute's Austrian Scholars Conference on March 13, 2010. There is a one-click download available to obtain the full paper or it can be viewed online here. Since its inception, the U.S. Federal Reserve’s monetary policies have led to a decline of over 90% in the purchasing power of the U.S. dollar. As a result, there have been several attempts to curtail or eliminate the Federal Reserve’s powers; however, none have proven successful to date, due mainly to the constraints of strong political opposition at the national level. In contrast to these attempts at the national level, this paper proposes an alternative approach to ending the Federal Reserve’s monopoly on money: the “Constitutional Tender Act,” a bill template that can be introduced in every state legislature in the nation, returning each of them to adherence to the U.S. Constitution's “legal tender” provisions of Article I, Section 10. The conclusion is that, in contrast to “top-down” attempts to “end the Fed,” a “bottom-up” approach using “constitutional tender” laws will find greater success. Wikipedia describes Bitcoin as "an open source peer-to-peer electronic cash system developed by Satoshi Nakamoto that's completely decentralized, with no central server or trusted parties. Users hold the crypto keys to their own money and transact directly with each other, with the help of the network to check for double-spending." Bitcoin has been called the gold standard of digital currency. The availability of bitcoins can not be manipulated by governments or financial institutions and bitcoin transactions occur directly between two parties without a middleman. Bitcoin also maintains a lively discussion forum. "A purely peer-to-peer version of electronic cash would allow online payments to be sent directly from one party to another without going through a financial institution. Digital signatures provide part of the solution, but the main benefits are lost if a trusted third party is still required to prevent double-spending. We propose a solution to the double-spending problem using a peer-to-peer network. The network timestamps transactions by hashing them into an ongoing chain of hash-based proof-of-work, forming a record that cannot be changed without redoing the proof-of-work. The longest chain not only serves as proof of the sequence of events witnessed, but proof that it came from the largest pool of CPU power. As long as a majority of CPU power is controlled by nodes that are not cooperating to attack the network, they'll generate the longest chain and outpace attackers. The network itself requires minimal structure. Messages are broadcast on a best effort basis, and nodes can leave and rejoin the network at will, accepting the longest proof-of-work chain as proof of what happened while they were gone." gBullion is a new payment system that enables any user to buy/sell gold and make safe, instant and free payments all over the world. Dubai-- March 10 2010 is a start date for gBullion - new payment system that enables any user to buy/sell gold and make safe instant payments all over the world. All transactions are made in system digital currency – gB, wherein 1 gB is equal to 1 gold gram. After the purchase gold bars (of 99, 5% or higher purity) are stored in the specialized secure Vault while corresponding quantity of gold grams (gB) is transferred to electronic gBullion client account. At any time user can exchange digital gold (gB) for real gold and obtain gold bars from a Vault located in UAE, or take delivery to specified address. Besides gB holder can transfer his digital gold (gB) to another gBullion user. All transfers are instant and free. “Our experts were to develop internet service based on three principles: minimum charges, easy use, and high degree of reliability. Their work resulted in the unique product of high quality that is coincident with all these demands. Today a growing number of investors become interested in gold, that is of no wonder for gold turns to be the most stable currency in the world, and gBullion is the most convenient instrument for operations with this metal” - Andrew Owen, CEO gBullion. The system operator is GBULLION DMCC Company registered in Dubai, UAE, and licensed to sell gold. GBULLION DMCC work is inspected by the CPA firm. An auditor’s report with the information about available assets and quantity of gold bars at vaults will be regularly announced in our site. At the moment the site gBullion operates in test mode and only in English. Other languages will be soon available. FRANKFURT — Greece’s fiscal problems seemed to be nudging Europe toward closer integration Monday, as the European Commission endorsed a German proposal for a European monetary fund to prevent future debt crises, while officials called for new regulations to prevent speculators from exploiting countries’ economic woes. But details of the fund proposal were vague, and any plan faced political and legal impediments. A plan would also come too late to help Greece even if all European Union members agreed to it, analysts said. 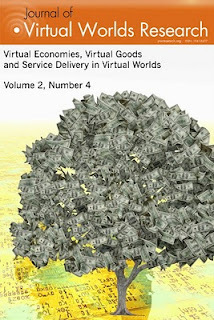 The Journal of Virtual Worlds Research recently profiled virtual economies, virtual goods, and service delivery in virtual worlds. Of particular interest to readers of The Monetary Future are the discussions surrounding unregulated virtual currencies and the evolving two-way exchange into real-world currencies. In this special edition (Volume 2, Number 4, February 2010) on virtual-world goods and trade, we are pleased to present articles from a global cohort of contributors covering a wide range of issues. Some of our writers, such Edward Castronova, Julian Dibbell or KZero’s Nic Mitham will be well known to you as distinguished leaders in the field, but it is equally our pleasure to introduce exciting new voices. Here you will find pieces written by academics, practitioners, journalists, a documentary filmmaker and perhaps the youngest contributor to JVWR yet, Eli Kosminksy, who attends high school in upstate New York. We would also point out that this issue extends its format to include Anthony Gilmore’s pictorial story, Julian Dibbell’s audio interview, and Lori Landay’s machinima. In real life, most contributors live in the US, the UK and Europe, and we, the editors, are based in Australia and France. The editorial team for this issue includes Mandy Salomon of Smart Services CRC, Australia and Serge Soudoplatoff of ESCP-EAP/Hetic, France. Idaho Introduces Its Own "Constitutional Tender Act"! Our friends in Idaho have been working for some time now on their own version of a bill to restore constitutionally valid tender in that State, by restoring silver and gold as an alternative to Federal Reserve Notes. This bill, which they are calling the Idaho Constitutional Tender Act, was introduced on March 2nd in the House Ways & Means Committee. It has been assigned bill number 622. I've been interacting with the members of The Idaho Sound Money Task Force (which includes monetary experts, state legislators, and interested citizens) for a number of months now, and have watched this bill come to fruition after several iterations. I have to say, I'm getting more and more excited as I see more and more states "coming on board" the sound money train! The Constitutional Tender blog was originally set up to facilitate discussion of the "Constitutional Tender Act," which was being proposed in Georgia. Reprinted with permission. 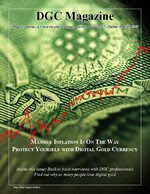 The following interview by Jonathan Logan was published in the February 2008 issue of Digital Gold Currency Magazine. Wikipedia describes eCache as "an anonymous bank operating through interfaces in the Tor network. The bank issues cryptographic certificates, Digital Bearer Certificates, that can be exchanged among the bank's users. The certificates can be bought and sold for real money through the bank. The owners and operators of the bank are unknown, and the bank is said to operate outside the laws of any country." An eCache information and FAQ summary can be found here. The Australian Broadcasting Corporation (ABC) has just released a two-part series on the topic of money and its future direction. Future Tense, hosted by Anthony Funnell, is a weekly half-hour program/podcast that takes a critical look at new technologies, new approaches and new ways of thinking. In Part One (February 25, 2010) of 'Money', Anthony Funnell examines the changes underway in the finance and banking sector. In Part Two (March 4, 2010) of this series, he looks at the changing nature of currency. Is traditional state-issued tender now losing its monopoly? And how widespread is the use of alternative currencies - be they digital or virtual, or both? The guest panel for part two includes: Douglas Rushkoff, author of the book Life Incorporated; Edward Castronova, Associate Professor of Telecommunications at Indiana University; Stan Stalnaker, Founder & Creative Director of Hub Culture; and Art Brock, Co-founder of the Meta-Currency Project. Antony Funnell: One thing we haven't really focused on so far has been the response of government to the development of alternative currencies. While things like frequent flyer points might be deemed OK, would central government really be prepared to let alternative currencies develop to the point where they threaten their control of economic policy? In China at least there's already been a backlash, with the government in Beijing last year introducing new regulations to restrict the use of virtual money. The crackdown was prompted after large numbers of people began using a form of online game currency called QQ coins to buy real world products and services. Edward Castronova from Indiana University, says the Chinese example should give us pause for thought. Because, he says, along with the benefits, there are potential dangers in the development of virtual and alternative currencies. Edward Castronova: Let's say a virtual currency sort of got out of control. Now everybody's using the virtual currency to do their day-to-day transactions. I don't think we are anywhere near that now, but let's say, it's something that could happen and in that case the people who are managing QQ coins are very influential in the real world economy. And who are they? People who developed a game. They're not elected officials, they're not appointed by any government, they're not trained necessarily in anything. And so that would be a case where the people who run a virtual environment has significant influence on what happened, out here in the real world. And in the longer run, I think it's something to think about with that you imagine future generations of people who, they grow up and they spend some time in virtual worlds, and they spend some time in the real world, and are sort of back and forth, and they sort of develop this idea of what an economy should be and how things should work, partly by being in the real world and partly by being in the virtual world where the way people have set up the rules, can be totally different. And that might affect their expectations. So for example, in a virtual world everybody starts out with nothing, equal playing-fields, and everybody starts out poor. Now what if that became kind of a standard cultural expectation? As you went through your life you sort of expected the real world to be like that also. The true worlds and the way they're designed could start to have an effect on what we expect the real world to look like. "Gold bugs believe that there will be a voluntary return to the use of gold by the general public. The computerized technology now exists to create private money systems based on gold -- digital gold. There can be 100% reserve banking. The digits allow us to make exchanges in the range of one dollar’s purchasing power." "Hostility to the traditional gold coin standard has been the mark of Establishment economists and editorialists ever since the U.S. government confiscated Americans’ gold in 1933. The Establishment hates gold. Its spokesmen ridicule gold. They want responsible fiscal and monetary policies, of course -- all of them publicly assure of this fact, decade after decade -- but the national debt just keeps getting bigger, and price inflation never ceases, also decade after decade. Somehow, fiscal and monetary responsibility just never seem to arrive." "Why do they hate gold? Because gold represents the public. More than this: gold is a powerful tool of control by the public. A gold coin standard places in the hands of consumers a means of controlling the national money supply. A gold coin standard transfers monetary policy-making from central bankers and government officials to the common man, who can walk into a bank and demand payment for paper or digital currency in gold coins. This is the ultimate form of democracy, and the Establishment hates it. The Establishment can and does control political affairs. They make democracy work for them. They are masters of political manipulation. But they cannot control long-run monetary policy in a society that has a gold coin standard. They hate gold because they hate the sovereignty of consumers." Bill is an extraordinary software designer/creator with a love for gold and silver. His informal value transfer software (IVTS) is called Trubanc and allows anyone to create their own private online ‘banc’ with easy to use, easy to install and highly adaptable software. Once the banc is online, anyone can then also create as many digital currencies they desire for any particular purpose they desire. Bill is also big fan of digital gold and digital currency. Here is my email interview. (Q) In terms of digital gold currency and freedom, how would you describe yourself? First off, thanks for the kind words. As it says on my blog, I self-classify as crypto-anarcho-libertarian. Crypto because I program computers and like cryptography. Anarcho because I believe in rules, but not rulers, the primary rule being self ownership. Libertarian because I practice, to the best of my ability, the Zero Aggression Principle: no one has the right, under any circumstances, to initiate force, nor to advocate or delegate the initiation of force. I believe people should be able to trade using whatever currency makes that trading easiest and most convenient for them. Precious metals, e.g. gold, have historically been widely found useful as a trading medium. Making them digital increases ease of use. (Q) How long have you been using digital gold currency and other digital currencies? I read David Chaum’s digital cash papers many years ago. I dabbled in e-gold when it was new, but never did anything with my account. I discovered Patrick Chkoreff’s Loom system (https://loom.cc) in December of 2007. Loom was the first digital gold currency system in which I did any real trading. I used a Pecunix account to pay for my new web host, hub.org, and the fact that they accepted Pecunix was a big selling point. (Q) For online commerce, do you also use a credit card to make purchases? I use a debit card to do most of my online commerce. Most of the places I buy stuff don’t take DGCs. (Q) So in your opinion, will digital gold currency replace online banking and the US Dollar? Though I’d love for that to happen, I don’t see DGCs taking over any time soon. The credit card system is a huge entrenched market. And most people have no concept of the problems of fiat currencies. One would hope that they’d learn from the current economic crisis, but I doubt that they will. (Q) Right now in about 6 U.S. States, there are honest money bills pending that would allow the use of digital gold as a voluntary system of payment for citizens. The bills would also allow some states to accept actual gold and silver as payment for certain taxes and fees. Do you agree with these bills that gold and silver honest money legislation is a good thing or should we all just shut up and use what the Federal government tells us is money? I wish them luck. The U.S. Constitution gives the federal government the authority to mint gold and silver coins. Period. No mention of any authority to print fiat money, backed only by “In God We Trust”, nor to delegate control of the money supply to a private company like the Federal Reserve. So these honest money bills are a welcome return to Constitutional money. (Q) Which do you prefer for online business, the plastic or digital gold? Why? I like the idea of digital gold, but have some reservations, given the theft by government of e-gold and Liberty Reserve assets and the prevalence of fraud by some DGC providers. But I think the DGC world is maturing, and hope one day soon to be able to direct my employer to deposit my pay into a digital gold account, and to be able to use it at amazon.com and at the web sites of other mass-market vendors. For now, though, my only choice for auto-deposit of my paycheck is a conventional bank, and my only choice for paying most online merchants is a credit or debit card, or PayPal. So I use them. (Q) Has anyone ever gained control of any digital gold account you operate and used it without your permission? (Q) What is the main reason you would use digital gold currency? Safety, privacy, speed etc? Privacy is paramount, hence my work on Trubanc. Also, credit card systems are pull systems. The merchant tells the credit card company that a purchaser has given permission for a debit. And the credit card company believes it. The customer can contest the debit, and the state’s guns supposedly prevent losing more than $50 to fraudulent use, but fraud is basically built in to the system. With a reputable DGC provider, it’s much different. Every spend must be approved by the customer, and, an advantage for the vendor, spends are final. PayPal actually does a pretty good job of making credit card purchases safe. They prevent you having to give your credit card information to the merchant. But you have to trust PayPal, just as you have to trust your DGC provider. (Q) When did you first begin to develop the Trubanc software? My first commit was on July 29, 2008. My first blog post about Trubanc was on July 31, 2008. The idea grew out of online chat discussions with Patrick Chkeroff. (Q) What exactly is a ‘Trubanc’ and what can I do with one? Trubanc is an anonymous digitally-signed vault and trading system. It’s account-based. Each account be split up into a number of named compartments, sort of like checking and savings in a conventional bank, but named whatever you want. Each compartment tracks balances in any number of digital assets. Like Loom, anyone can create their own digital asset (currency), backed by anything or nothing. Though I think that assets backed by gold or silver are more likely to be accepted. You create an account on a Trubanc server with a PGP public key. The corresponding private key is stored, encrypted with a passphrase, on your PC, or on a client web server. All messages between client and server are digitally-signed, a virtually unforgettable validation method, unless somebody steals your private key and passphrase, and assuming that PGP has no backdoors and is practically impossible to break, valid assumptions as far as I know. Account balances are time stamped, digitally-signed by the customer, and counter-signed by the bank, so each can prove to the other that they agreed at a particular time on the balance in each asset. If the customer can prove that his balance at time X was Y grams, and the bank cannot prove it was different at a later time, then the bank must believe the customer and adjust his balance accordingly. I haven’t yet implemented that correction mechanism. Trubanc storage is paid for with “usage tokens”, a bank-issued asset. The storage is file-based, and one file costs one usage token. I expect the cost of one usage token at most banks will be somewhere around one U.S. cent, but that isn’t built in to the software anywhere. As with most DGC systems, you can make a spend to another Trubanc user, on the same server, if you know their ID. Trubanc allows you to attach a note to the spend, and allows the recipient to accept or reject the spend, again attaching a note. So it’s also a simple messaging system, since you can do a zerospend whose only purpose is to deliver a message. The usage tokens reduce spam, since making a spend costs 2 usage tokens, which you get back if the recipient accepts the spend, but which go to the recipient if he rejects it. A spend can be cancelled until the recipient accepts or rejects it, but once accepted, the spend is final. The bank takes the 2 usage tokens if you cancel a spend. You can also mint your own Trubanc “coupons”, which you can mail or chat to someone outside of a Trubanc server, and which they can redeem on the server. A coupon for usage tokens is how most people will gain the ability to create a new account. Asset issuers can charge storage fees, a percentage of each account balance, collected on each transaction, and periodically by the bank, at the issuer’s request. I plan to build a merchant interface, which will work much like PayPal or Pecunix, allowing an internet vendor to enter a proposed payment into the customer’s Trubanc client, which he must approve before the sale can be completed. (Q) The Trubanc software for creating a value transfer system is free, correct? (Q) Would you call it open source? Yes. The source is available on Trubanc.com and in the GIT archive at github.com/billstclair. (Q) Is the Trubanc system available to anyone who wants one? How does a reader get one? Yes. Go to http://trubanc.com, and you should see how to get it. There’s an INSTALL file that explains how to set up the PHP version. I’m currently working on a Lisp version, which will have a one-file executable for client or server, complete with a web interface for configuration. The PHP version works, but I consider it a prototype. The lisp version will be more bullet-proof, and easier to use, though it requires a stand-alone server, or virtual server, not just a PHP web host. (Q) What features of digital gold currency and Trubanc do you feel are the most important? That’s really two questions. I’ll answer about Trubanc. Privacy and security are Trubanc’s claim to fame. You don’t need to tell the bank anything about yourself except your PGP public key. And the bank cannot change your balance without your permission, though it can post storage charges to your account, which you have to accept to be able to do any more spends from that account. (Q) Why would anyone around the world, use Trubanc over say...Bank of America’s online banking? (Q) What countries do you feel are the biggest markets for products such as Trubanc? Trubanc itself isn’t really a product; it’s free. I hope I can earn some assets supporting Trubanc installations, but I intend for the code itself to remain free and open source. As to which countries are the best places to host Trubanc servers, I haven’t thought about it. Trubanc.com is hosted in Panama by a Canadian company. One of Trubanc’s biggest hurdles is that governments do not like anonymous banking. If they can’t track your spends, they can’t collect taxes on them. So though I think that lots of United States residents would want to use a Trubanc, hosting one on a US server is a really bad idea, since the US government is likely to shut it down. Whether they’ll make it illegal to USE a Trubanc, hosted outside of the US, remains to be seen. I’d like to thank Bill for taking time to answer my questions and provide us with this valuable information. If you would like to try out your own Trubanc we encourage you to download from his web and set up your own bank. Reprinted with permission. Are We Merely Unsecured Creditors at LBMA Banks? Recently I have written several articles that have discussed how much "paper gold" has been sold, principally through the unallocated accounts of the London Bullion Market Association, though there are other vehicles that achieve the same end, such as pool accounts, unbacked exchange-traded funds, futures, and derivatives, etc., but the LBMA dwarfs them all. I estimate that as much as 50,000 tonnes of gold have been sold that do not exist. That is equivalent of all the gold reserves in the world that are yet to be mined -- or, put another way, 25 years of gold production. That is the granddaddy of all short positions. The fractional reserve operation of the LBMA is likely to be the next Madoff scandal, except multiplied by 100 -- a $5 trillion fraud as opposed to a $50 billion fraud. Like all financial scandals before it, this one will be exposed just as surely as night follows day. Gold is unique among all commodities. It is the only commodity that is not bought to be consumed. Rather, it is purchased as a store of wealth. Because it is not consumed, the buyer does not need to take possession of his gold but can be persuaded to trust the seller to store his gold on his behalf. This unique wrinkle allows bullion bankers to sell gold that does not exist. This allows them to make huge profits, since they have very little cost, as they don't have the inconvenience of actually having to purchase the gold before they sell it. The consequence of this illegal activity is that it suppresses the price of gold because the "paper gold" supply has the same effect on prices that would happen if real gold had actually been supplied to the market. Such racketeering is extremely beneficial to the central banks, which are hostile to gold because a free-market gold price would blow the whistle on their perpetual inflationary actions. A suppressed gold price makes fiat currencies appear to have higher purchasing power. The central banks do not just turn a blind eye to the bullion banks' fraud but actively assist it; the central banks lease gold at a pittance of a lease rate to make sure there is always enough liquidity so the scam is not exposed from the bullion banks' inability to deliver real metal when asked. There is nothing new about gold bankers selling gold they don't have. The goldsmiths invented the scheme in the 16th century. As recently as 2005 Morgan Stanley was sued for selling imaginary precious metals. Morgan Stanley even had the audacity to charge storage fees on metal that didn't exist. The firm settled the lawsuit out of court but no criminal charges were ever filed. Morgan Stanley maintained that it did nothing wrong because none of its clients had lost any money in the scam. That was innovative. I will try stealing a billion dollars from a bank and then I will pay it back the following day and see what the FBI thinks of that legal defense. The LBMA operates a fractional reserve system. It sells much more gold than it has. The LBMA keeps on hand the amount of gold that it estimates, in the worst-case scenario, it will be called upon to deliver. This means that we are meant to believe that the equivalent of 25 percent of global annual gold production changes hands each day on the LBMA. On a gross trading basis this probably represents the whole of annual worldwide gold production traded every day. In dollar terms it represents $5.7 trillion of net trade annually. That is almost 60 percent of the entire U.S. economy or 10 percent of the entire global economy being traded through a handful of gold bullion banks. It is simply mind boggling. You don't have to be a rocket scientist or a market regulator to smell something fishy. To back that level of trading on a 100 percent reserve ratio, the bullion banks would have to own almost 40 percent of all the gold ever mined. There are simply not enough London Good Delivery bars for that to be the case. This is an account where specific bars are not set aside and the customer has a general entitlement to the metal. It is the most convenient, cheapest, and most commonly used method of holding metal. "The units of these accounts are 1 fine ounce of gold and 1 ounce of silver based upon a .995 LGD (London Good Delivery) gold bar and a .999-fine LGD silver bar respectively. Transactions may be settled by credits or debits to the account while the balance represents the indebtedness between the two parties. "Credit balances on the account do not entitle the creditor to specific bars of gold or silver, but are backed by the general stock of the bullion dealer with whom the account is held. The client is an unsecured creditor. "Should the client wish to receive actual metal, this is done by 'allocating' specific bars or equivalent bullion product, the fine gold content of which is then debited from the allocated account." There are some real peaches in this description. For example: "Credit balances on the account do not entitle the creditor to specific bars of gold or silver, but are backed by the general stock of the bullion dealer with whom the account is held." They don't say that the bullion dealer has to hold the amount of gold he has sold, just that these unallocated accounts are backed by the bullion dealer's stock. His stock could be a thousand ounces or none at all. Note the statement: "The client is an unsecured creditor." So this really spells out what "unallocated" means. It means that there is no gold allocated to the customer. The customer owns only an IOU for gold. If the LBMA were running a system that had on hand 100 percent of all the gold being sold but just didn't want to assign specific bars and serial numbers, then all creditors would be secured. But the LBMA spells out that all clients are unsecured creditors. The buyers have no gold guaranteed against the IOU from the bullion dealers. You have to remember that this is a speech being made in front of all the members of the LBMA. You simply can't make such a statement in front of such a crowd if it isn't true. And we know it is true because the LBMA says the same thing on its Internet site. They say their clients are "unsecured creditors." Many people do not understand what fractional reserve accounting means. I will give you an example of a less important real-life case. Commercial airlines routinely sell more seats on a flight than the airplane has. If the plane holds 200 passengers but from statistics the airline knows that on average only half the passengers with ticket show up for check-in, the airline can sell 400 seats and be confident that the plane will fly full, which increases the airline's profitability. If the airline sold only 200 tickets, the plane would fly half empty. Occasionally the airline gets caught when, say, 210 passengers check in. In such circumstances the airline offers a free night in a hotel, a first-class upgrade, and some cash for any 10 passengers volunteering to fly later or the next day. But all the people who purchased tickets believed that they were buying actual available seats, not unallocated virtual seats. This is exactly the same situation with the LBMA; the LBMA sells more gold than it has. It knows from statistics on average how many clients will ask for delivery and that determines the LBMA's minimum stock level. But just like the case of the airlines, this scheme is destined to be discovered. When more gold is demanded than the bullion banks can deliver, they try to lease or buy gold from central banks. If this can be done in a timely fashion, the bullion banks' clients are none the wiser. If the central banks cannot provide supply, then the bullion banks are obliged to offer premiums over the spot gold price to encourage clients to accept cash in lieu of metal. One of my conclusions is that in the last six months there has been a dramatic decline in the inventory held by the dealers on the Comex (the registered category), while over the same period the open interest has increased. This essentially means that each open contract has less warehouse gold or silver backing today than it did six months ago. This is a classic reduction in reserve ratio. It is a sign that the gold cartel is running out of physical gold and silver. This observation is supported by other data. During the last two years the U.S. mint has periodically suspended production of gold and silver coins due to shortages of bullion, and the Comex futures have displayed contracting contango and/or mild backwardation, which is indicative of physical market stress. There is anecdotal evidence that the LBMA OTC market in London has been having difficulties in making deliveries and requiring central bank gold to do so. There are also rumors of large premiums being offered for cash settlement in lieu of the bullion. Sources active in the London market tell us it is difficult to find large amounts of bullion. The central banks have stopped selling and have become net buyers of gold. Further, at the end of last year the politically connected miner Barrick Gold announced a panicked buying back of its hedges. The clients of the LBMA are not speculators or gamblers. They have bought gold that they believe is being held in a vault for them by the LBMA members. As the suspicions about the LBMA rise, more clients will ask for delivery, which will expose this fraudulent operation. As I wrote here earlier, I estimate that as much as 50,000 tonnes of gold have been sold that do not exist. That is equivalent to all the gold in the world that is yet to be mined, or, put another way, 25 years of gold production, the granddaddy of all short positions. The fractional reserve operation of the LBMA is likely to be the next Madoff scandal, except multiplied by 100 -- a $5 trillion dollar fraud as opposed to a $50 billion fraud. Those holding real bullion will see the price multiply many times as the price adjusts to the supply and demand fundamentals of real metal. There is only one way to protect yourself and to profit. You should own physical bullion. Simply don't trust intermediaries like the LBMA that purportedly sell you gold but label you an "unsecured creditor." Anyone who thinks he holds gold at the LBMA should demand delivery. The major desirable and unique characteristic of gold is that it is no one else's liability, unlike almost every other financial asset. If you own a credit risk, like IOU gold, you have not achieved the principle objective of owning gold. Are you a gold owner or an "unsecured creditor"? Adrian Douglas is publisher of the Market Force Analysis letter and a member of GATA's Board of Directors. Reprinted with permission.